The President and Chaplains of Tufts University invite members of the Class of 2015 and their families and friends to join in celebrating the Baccalaureate Service on Saturday, May 16, 2015 from 3:00 to 4:00 pm at the Gantcher Family Sports and Convocation Center. All are welcome. 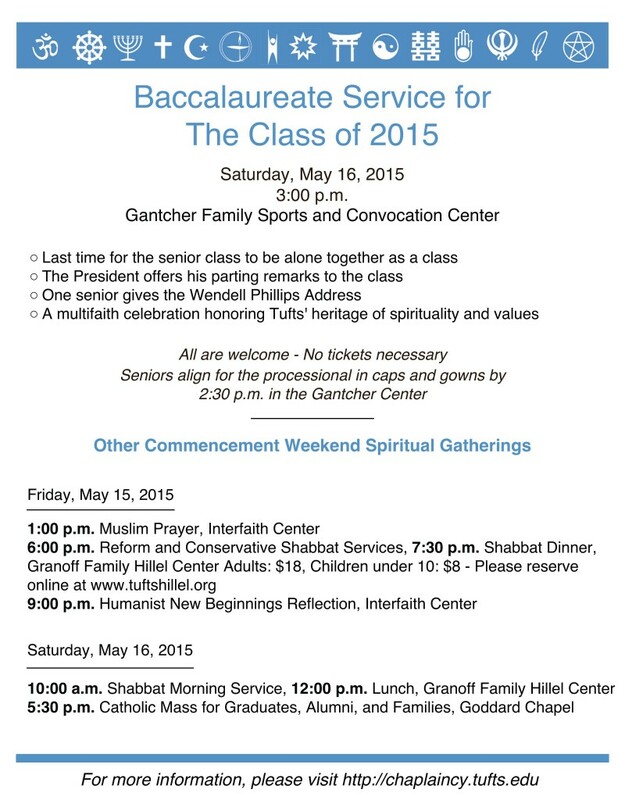 Click here for a PDF version of the Baccalaureate Service 2015 invitation. Invitations can be picked up in the Office of Campus Life or Goddard Chapel. Click here to view the Baccalaureate Service 2014.